Late summer and early fall have been relatively dry on Hegland’s farm. Because he zone tills his entire 1,800 acre farm, moisture was never a concern. The tilled zones made by his SoilWarrior hold in moisture the crops need. Even though the field he’s harvesting is equipped with irrigation equipment, Hegland never needed to turn the system on this season. 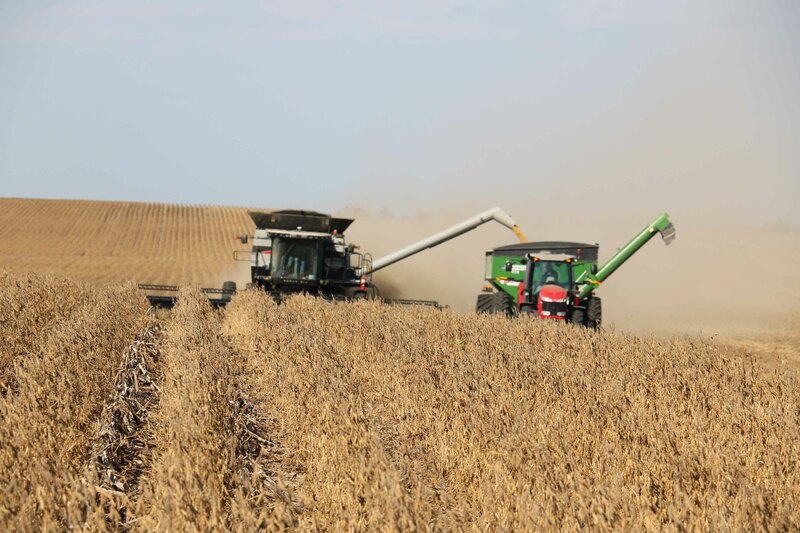 During harvest, the dry fields make for good combining, especially for soybeans. Hegland’s soybeans were strip-tilled into a field that held corn last year. Remnants of last year’s corn stalks stand 12 to 18 inches off the ground in between the soybean rows. Those stalks pose no problem for harvest. Harvest began with his early season soybeans. Depending on how the weather holds, Ed plans to keep the wheels turning. In a good year, he will be finished by Halloween. Some years he’s done sooner, other years the process can drag out until nearly Christmas. Regardless of the timeline, Hegland will keep moving until the job is done. 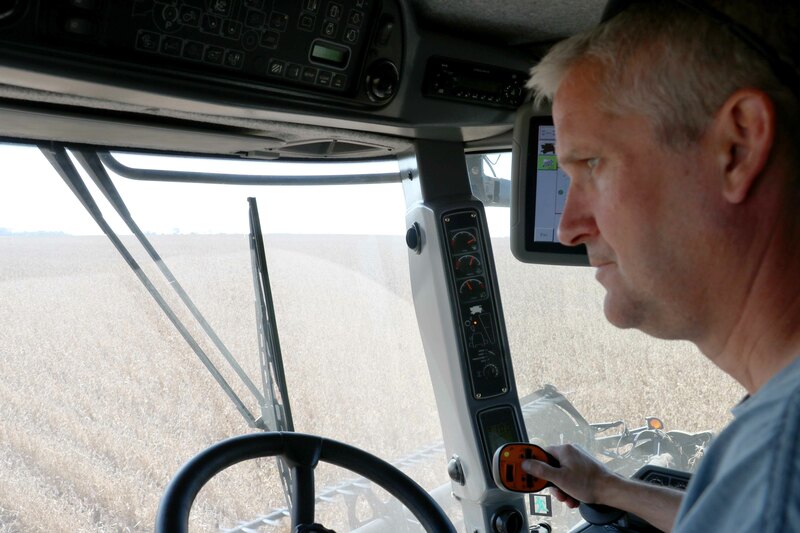 As his combine churns its way across the field, Hegland keeps a watchful eye on all the meters, gauges, and monitors tracking the process. Of particular interest to most farmers is the yield monitor. 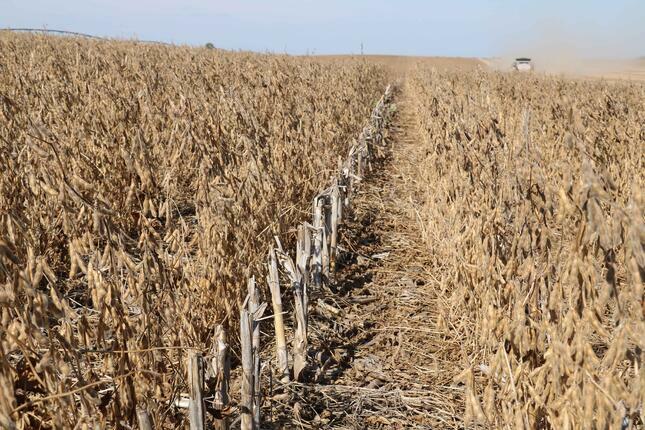 Since making the switch from conventional to conservation tillage several years ago, Hegland’s crop yields are just one of the reasons he has made 2015 another season of strip-till. Listen to the full audio episode below or the full podcast series. Ready to try strip-till with a SoilWarrior on your farm? We can help.